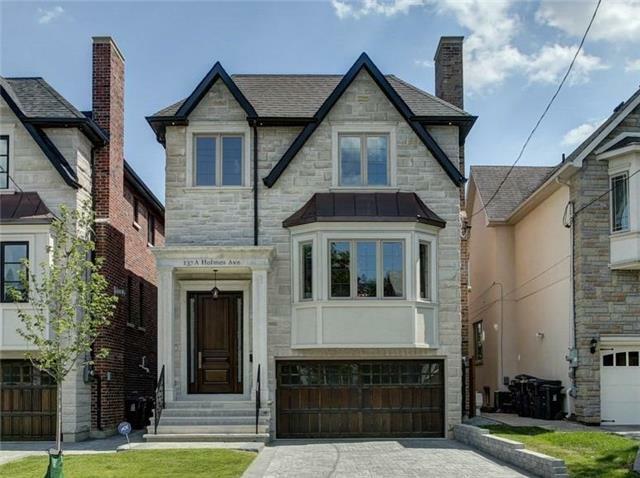 Magnificent New Cstm Blt Home In Prestigious Willowdale Area.Excellent Layout, Outstanding Workmanship,L-U-X-U-R-Y Finished + Stylish Design For Its Own Perfection! Soaring 14' High Marble Foyer W Dbl Closet. Beautifully Designed Modern Interior,B/I Entertantment Unit Walls, Panelled Walls,Wainscotting, Cofered Ceil,Scones, B/I Speakers.Sec Sys.Gourmet Kit W/Large Mrble Cntr Isl,Huge Brkfst Area,Butlers Pantry,Potfiller.Heated Mstr Ensuite & Rec In Bsmt. Want to learn more about 137A Holmes Ave? I would like to learn more about 137A Holmes Ave.